Halloween ComicFest The Greatest Halloween Costume Contest Ever! The Halloween ComicFests event taking place on Saturday, October 27th, 2017. 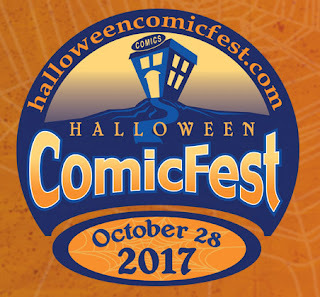 Each spooky category will have a voted adult and child winner, who receive prize packs from the costume contest sponsors, while 5 adults and 5 children will be randomly selected to win a $100 shopping spree to their local comic shop, with 1 lucky adult and child winning a $500 shopping spree. Be on the lookout for more information when the Costume Contest officially launches on Wednesday, September 27th, 2017. Click the link below for more information.